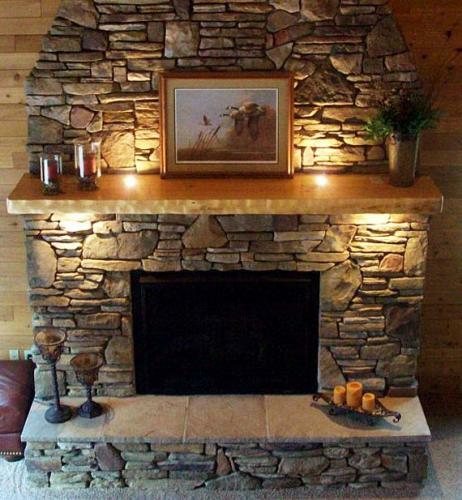 Here are five guides that you can follow on how to decorate a stone fireplace mantel. The stone fireplace is often spotted inside the French country, English cottage, primitive and French provincial home design. It can be installed not only inside the living room, but also in the bedroom and kitchen. You have to decorate so that it can serve as the focal point. You can make it look elegant and homey with various accessories. You can combine the fine antiques and rustic accessories that you can hunt on the secondhand market. 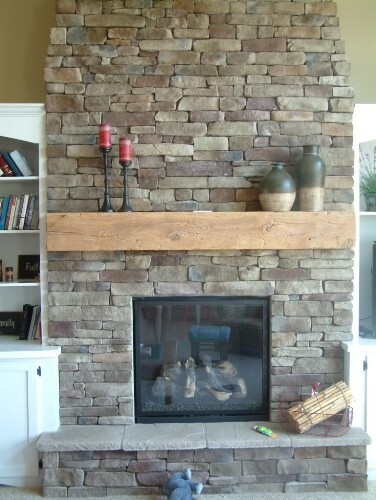 The stone fireplace mantel will look more rustic if you repaint the wood mantel. There are various colors that you can apply on the entire surface of mantel such as verdigris, dark cream, brick red, and mustard yellow. Pick one of them to make it rustic and unique. You can sand away the paint to make it distressed. If the fireplace does not have any screen, you can install one. The screen should look rustic to match the stone materials. You can pick the antique brass or even antique copper fireplace screen. You do not have to buy a new fireplace screen in the store. You can refurbish the metal screen that you have at home. For instance, the old and unused wrought iron headboard can be reinstalled as a fireplace mantel. The stone fireplace mantel is fancy if you decorate it with carved wooden objects. You can buy the pieces in hand crafted stores. For instance, you can buy a unique tribal wooden plaque and locate it as the center of the mantel. Or you can place a rustic ceramic object for another option. 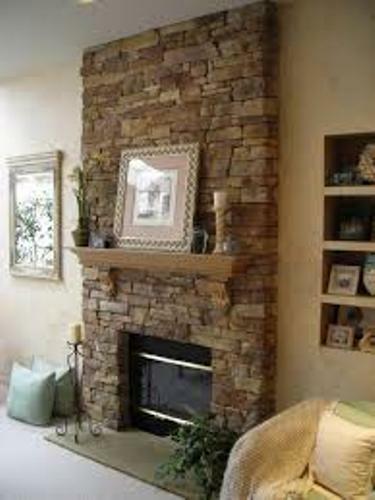 Bring the beautiful decoration on the stone fireplace by using the small topiaries and beautiful flowers. Select an antique terracotta pot or vase to hold the beautiful yellow, blue or lilac flowers. If you want the Mediterranean flowers, you can choose rosemary or lavender. The hand painted potteries can be used as the focal decoration on the stone mantel. The items are unique because they can evoke the rustic feeling. The painting on the potteries can depict the beauty of country landscape. 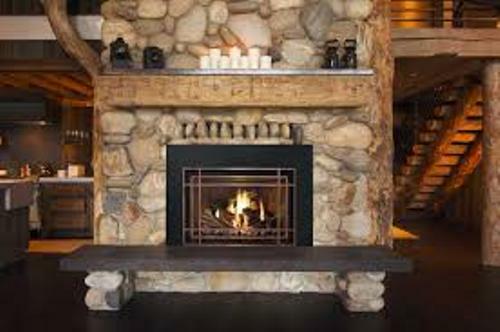 Get tips on how to decorate rock fireplace mantel here. 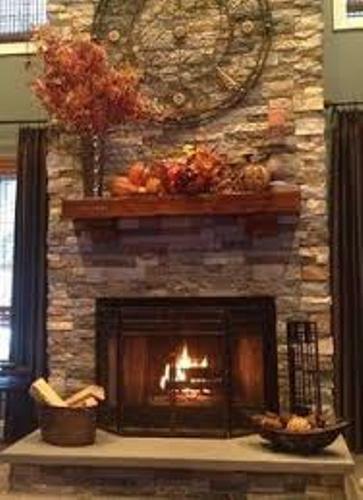 Do you like reading guides on how to decorate a stone fireplace mantel?